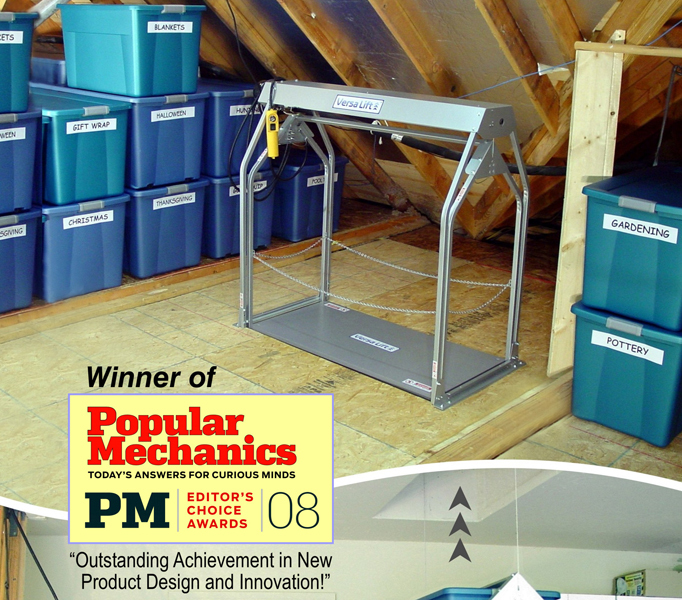 This High Wall Switch Attic Lift converts your attic space into valuable storage space that is easily accessible and out of sight. 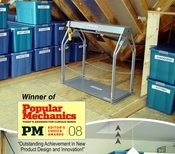 The attic lift is easily installed in a framed opening just like the one your folding ladder is in. 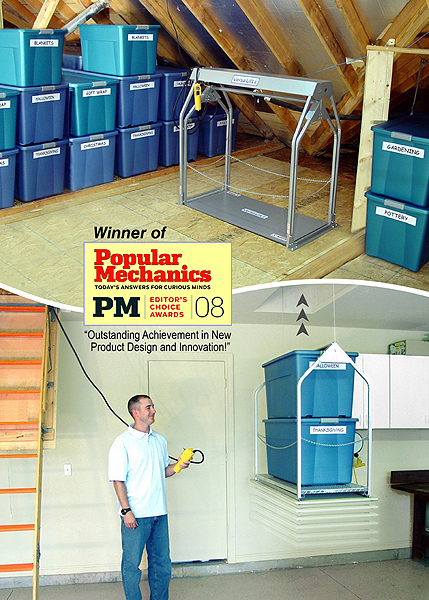 Eliminate the risk and danger inherent in trying to climb up and down a rickety ladder with your hands full of heavy items with this space saving unit.